Acer ‘Flamingo’ with its pink edged leaves was looking gorgeous in the autumn sunshine today. 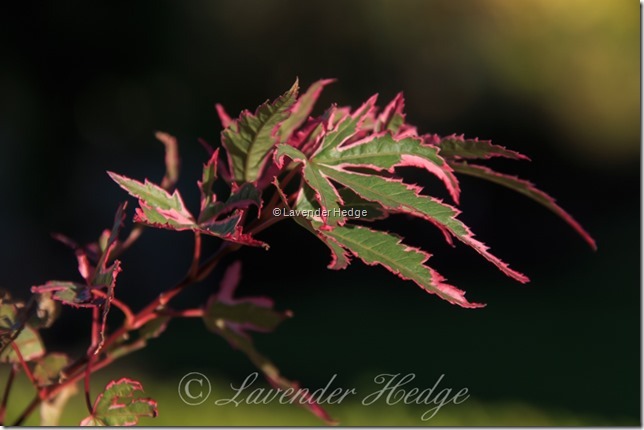 Acer ‘Flamingo’ makes a stunning plant in a pot or the garden border. Callicarpa bodinieri Profusion is commonly called Beauty Berry for good reason. The iridescent berries are like beads. 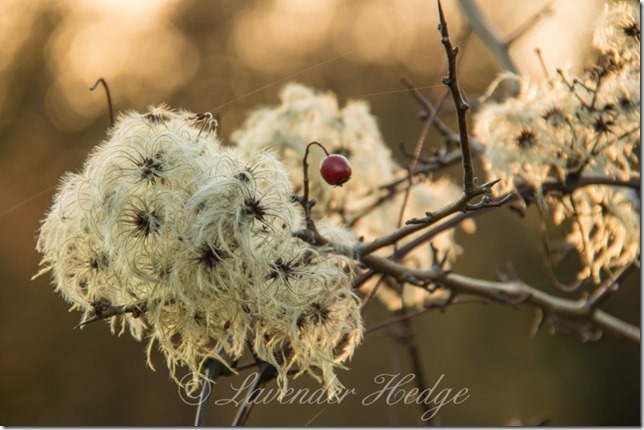 This clematis grows wild in the hedgerows and in the autumn the fluffy seed heads appear – they are known as Old Man’s Beard or traveller’s joy. 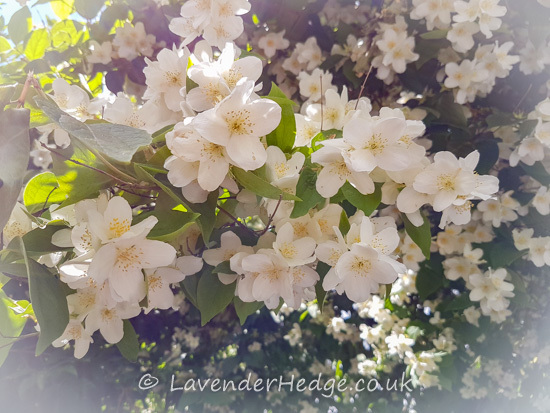 This wild clematis is a vigorous climber which entwines itself around any convenient nearby support. It is said to do the Devil’s work for him by smothering other plants to death. In this image the clematis has twined itself through a hawthorn and I love how the late afternoon sun catches the seed heads. 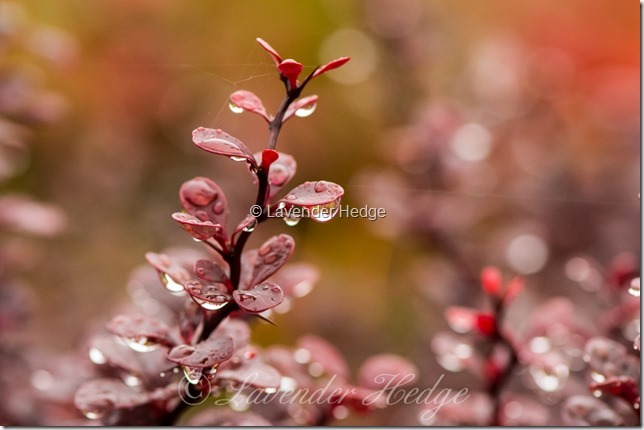 Berberis thunbergii atropurpurea Nana is a lovely small, neat deciduous shrub with good autumn colour. 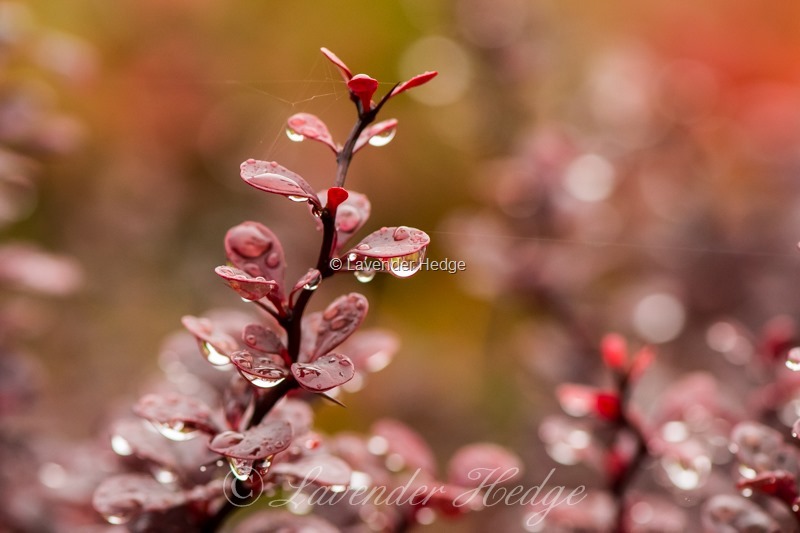 It looked gorgeous after the rain today, covered in raindrops. 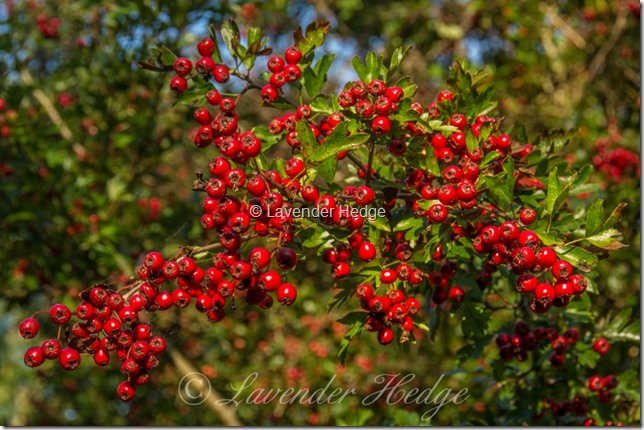 Folklore states that lots of berries on shrubs and trees is the sign of a hard winter to come. We will see! 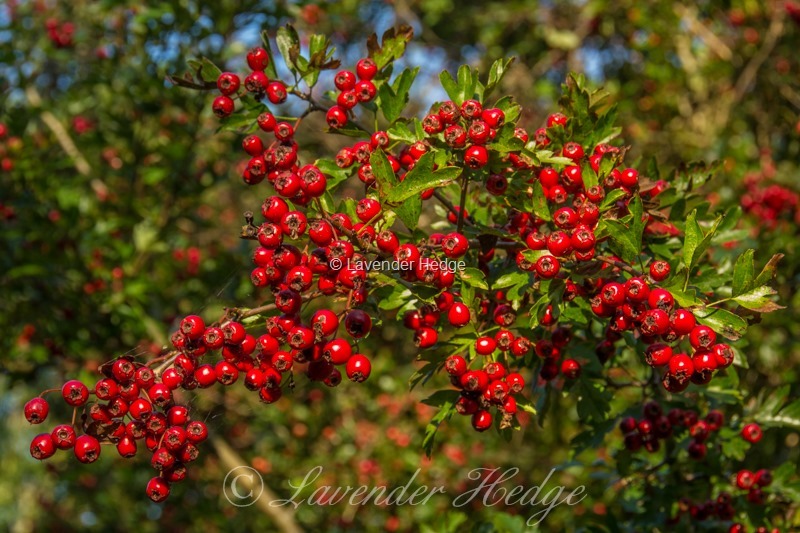 The birds are certainly going to enjoy this feast of berries on the Hawthorn tree. 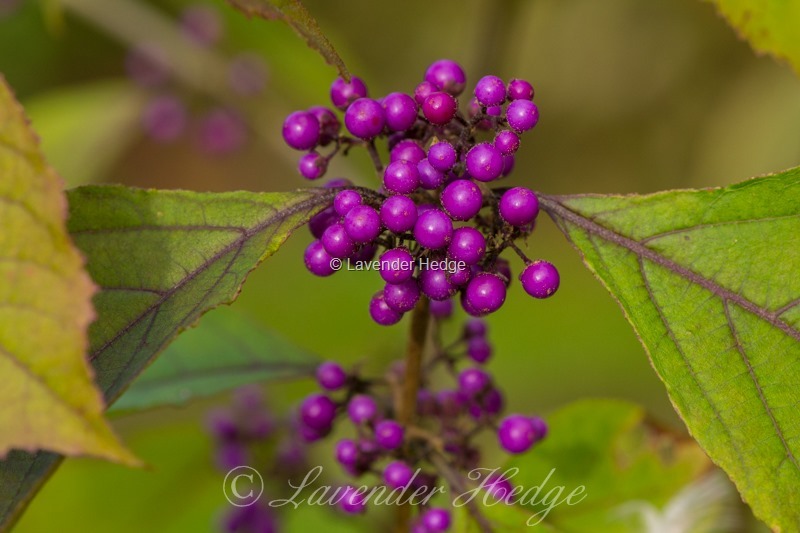 This gorgeous deciduous shrub is also know as Beauty berry, and you can see why – the lilac berries have a metallic lustre to them – just like nature’s jewels! 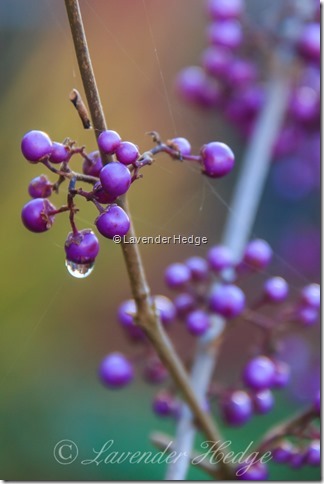 The berries should last well into winter, with the birds choosing other berries to eat first. The garden has still got plenty of colour even though it’s the first day of October! 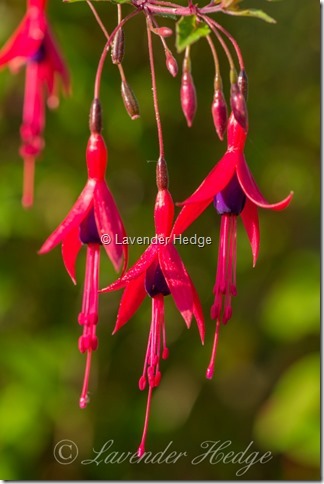 These hardy fuchsias will flower until the first frosts. 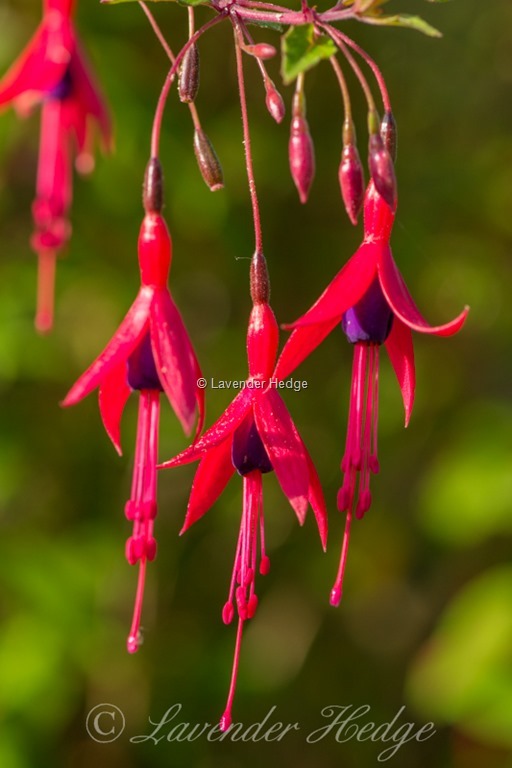 Such a worthwhile addition to any garden, they flower their hearts out all summer long with no attention whatsoever. 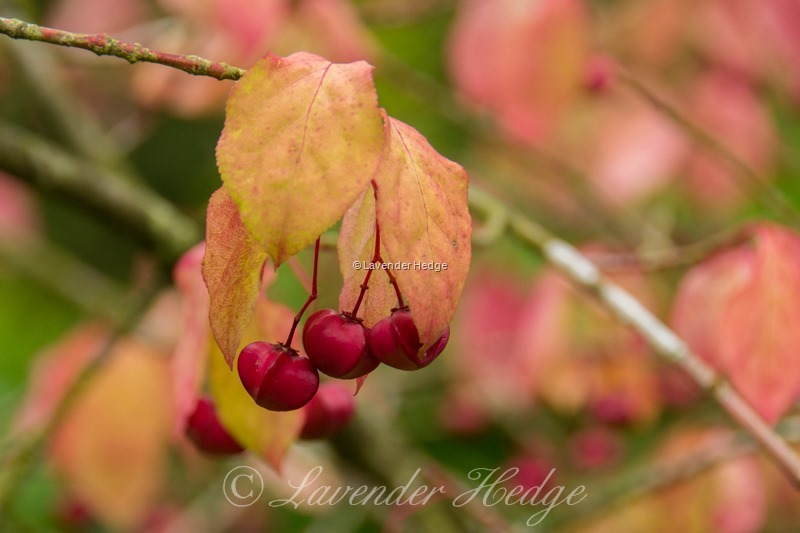 The autumn colouring of the Spindle berry tree is quite stunning! 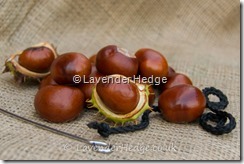 It also produces the most unusual of berries that split open to reveal orange seeds. 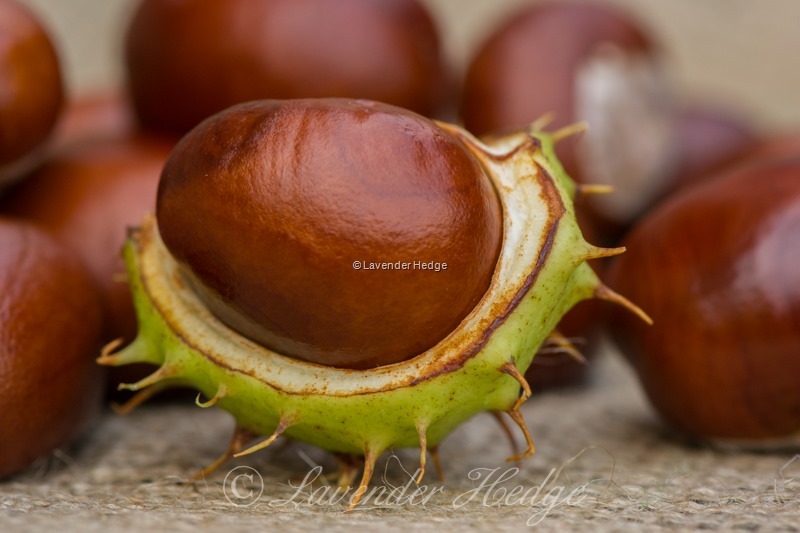 Conkers are the seed of the Horse Chestnut tree and it is a very British tradition for children to play the game of conkers in the school playground. 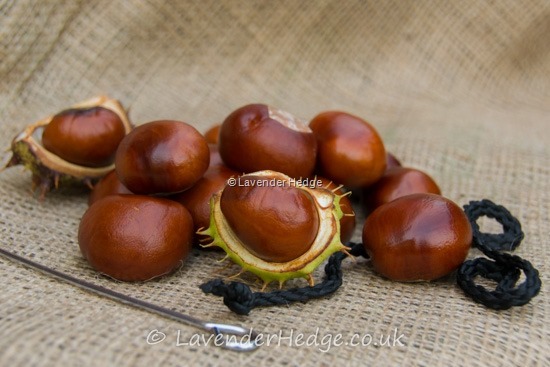 Leaving conkers in the house is supposed to repel spiders, but can’t say this works entirely for me!